So many great audiobooks, so little time. 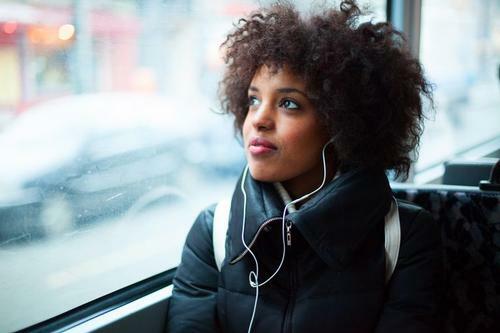 In fact, all three of our audiobook platforms are more popular than ever, So here's a few of our favorites to help you along. Visit our Digital Media Portal for more ebooks, digital audiobooks, streaming music, movies, and more! 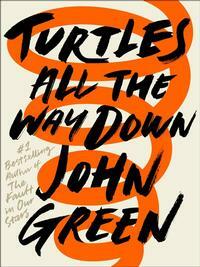 The lastest from the acclaimed author of The Fault in Our Stars and Looking for Alaska, Turtles All the Way Down is the story of a remarkable friendship and a young woman "trying to be a good daughter, a good friend, a good student, and maybe even a good detective, while also living within the ever-tightening spiral of her own thoughts." Tehcnically released in 2016, but winner of the 2017 Man Booker Prize—read by a star studded cast that includes Nick Offerman, David Sedaris, Carrie Brownstein, Miranda July, Lena Dunham, Ben Stiller, Julianne Moore, Susan Sarandon, Bradley Whitford, Jeff Tweedy, and Don Cheadle—this performance elevates Saunders' hearftfelt and deeply creative novel to something far beyond your average book-on-tape. What is the nature the universe? Is time real? What is real, anyway? Get far out with Dr. deGrasse Tyson as he reads his own latest bestseller. Just plug in your earbuds and let your commute to work become a mind expanding journey into the cosmos. The hotly anticipated follow up to Ng's debut novel, Everything I Never Told You (a New York Times Book Reveiw Notable Book of 2014 and Amazon's #1 Best Book of 2014), Little Fires Everywhere tells the story of the "picture perfect Richardson Family and the enigmatic mother and daughter who upend their lives." With accolades from fellow authors John Green, Jodi Picoult, and Paula Hawkins, this provises to be one of 2017's top reads. This father/son collaboration from the master of American horror is set in a small Appalachian town where the main employer is a women's prison. The story concerns what happens when the women of the world all fall victim to a mysterious sleeping plague, while those who are awoken and removed from their cocoon-like gauze become feral and spectacularly vicious. 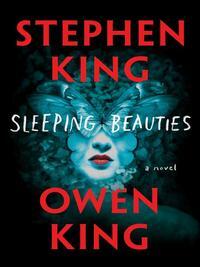 Sleeping Beauties has been called "provacative" and "gloriously absorbing." Find these and other best sellers (like Two Kinds of Truth, The Rooster Bar, Tom Hank's Uncommon Type, and Walter Isaacson's Leonardo da Vinci) on our RBDigital, Overdrive, and Hoopla platforms today! So many great audiobooks, so little time. I have now been trying for over half an hour to find an audiobook that I am pretty sure you have in the library collection, but the way this website is set up, I can't figure out how to do it. The audiobook is The Wee Free Men by Terry Pratchett. I reserved a copy of the book not knowing it was available in audiobook format. Please let me know how to put a reserve on this audio book. Thank you. 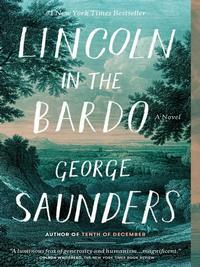 Hi Suzanne - we have this audiobook on both our Hoopla and Overdrive platforms. You can find links to both by searching for the title in our catalog. Click on either record and you will find a link to 'Access this Audiobook.' The version in Hoopla is available without a wait though it is in streaming format (you must listen to it on an internet connected device). The version in Overdrive needs to be put on hold, but when it becomes available you will be able to download it for 21 days. If you continue having trouble, please email using the Contact Us link at the top of this page. Thanks!